The perfect choice when planning for big events, conferences, fundraisers, weddings and much more. 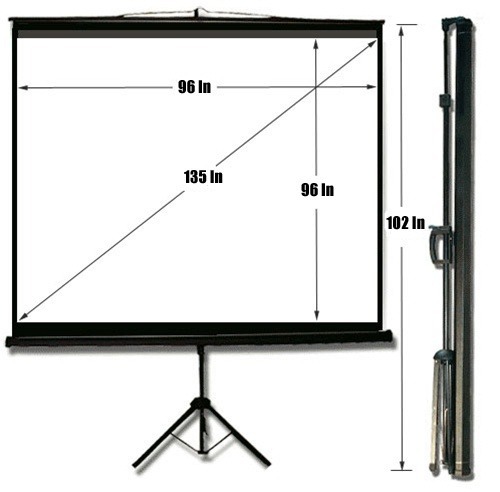 This extra large projection screen is spacious enough to show case any large images you have for your presentation. The projection screen comes with a tripod, allowing easy setup and teardown. Your audience will be delighted with this screen.